MEXICO CITY (Sputnik) - The Mexican government does not plan to adopt a special plan to restrain caravans of migrants from Central America that travel through the country to the United States, but the authorities intend to regulate the process, Mexican Interior Secretary Olga Sanchez Cordero said on Monday. MEXICO CITY (Sputnik) – Honduran Foreign Minister Maria Dolores Aguero Lara dismissed the Mexican authorities’ claims about the "mother of all Caravans" forming on the Honduran soil, seeking to enter the United States through the Mexican territory. QUITO (Sputnik) - Mexico is going to receive a huge 20,000-strong caravan of migrants heading to the United States from Honduras in the coming weeks, their final goal is the United States, Mexican Interior Minister Olga Sanchez Cordero said on Thursday. 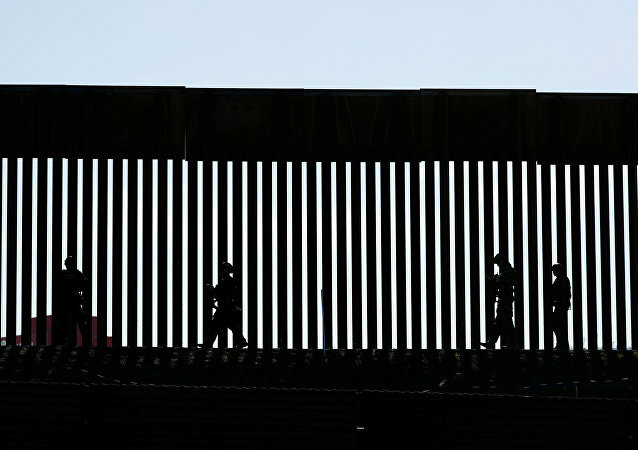 WASHINGTON (Sputnik) - The United States, El Salvador, Guatemala and Honduras have reached an agreement to address the regional security issue causing mass migration toward the US-Mexico border, US Secretary of Homeland Security Kirstjen Nielsen said in a statement. MEXICO CITY (Sputnik) - Another caravan of mostly Central American migrants hoping to start a better life in the United States has embarked on a march to the US border across Mexico, media reported. 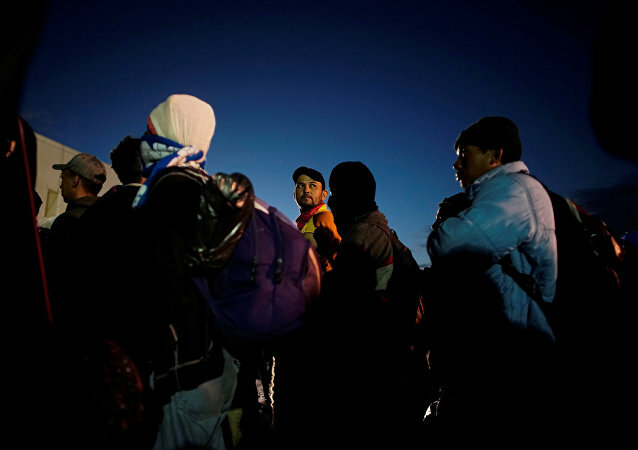 WASHINGTON (Sputnik) – Authorities have apprehended the largest migrant caravan crossing the US-Mexican border to date, taking 289 people into custody, the Customs and Border Protection agency announced in a press release on Wednesday. The US and Mexican governments have created a secret database aimed at tracking dozens of activists, journalists, and immigration advocates. This is what NBC 7 has reported, citing leaked Homeland Security documents. 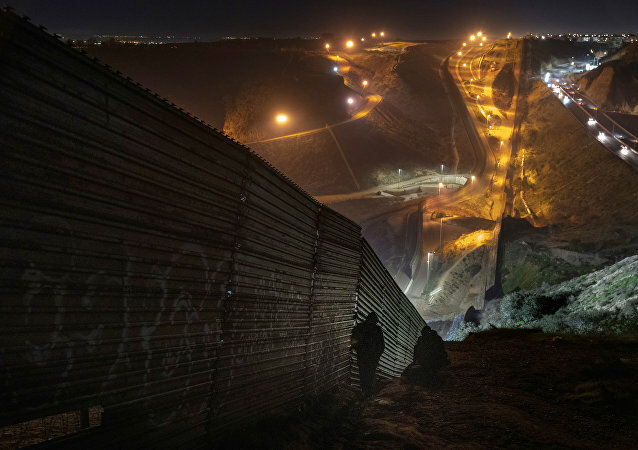 Under Donald Trump, the United States has adopted tougher border policies, with law enforcement officials at the Mexico border pushing back attempts of unauthorised migrant caravans to enter the country. At least 25 migrants affiliated with the MS-13 gang found within a caravan of 1,600 Central Americans were deported from Mexico on the doorstep of the US border. 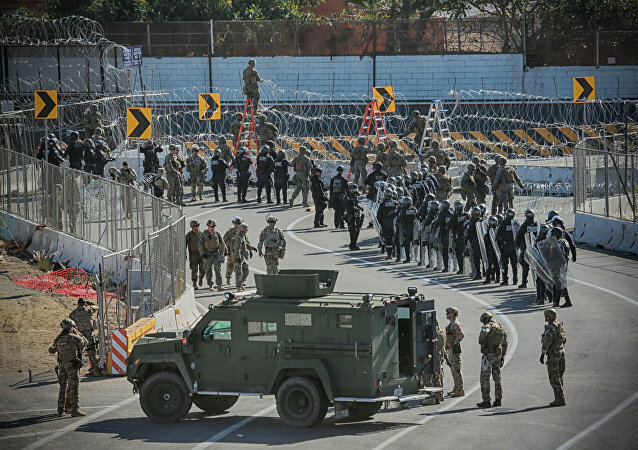 The deployment of additional troops at the US-Mexican border does not prompt concerns in Mexico, but may be regarded as an indirect message to Caracas, Raul Benitez Manaut, a professor at Universidad Autónoma de México (UNAM), opined, speaking to Sputnik. In a recent tweet, US President Donald Trump promised to build a "human wall" on the border with Mexico if it was necessary to stop illegal immigration. His statement came amid a lack of success in negotiating funding for his border wall project. WASHINGTON (Sputnik) - The United States is prepared to prevent a migrant caravan that has arrived on US border with Mexico from any attempts to illegally cross into the country, US Homeland Security Secretary Kirstjen Nielsen said in a press release on Tuesday. MOSCOW (Sputnik) - US President Donald Trump on Saturday lashed out at Mexico for staying idle while a third caravan of Central American migrants is approaching the southern US border. MEXICO CITY (Sputnik) - Mexican authorities have closed a shelter for Central American migrants in the city of Tijuana, located near the US border, over violations of sanitary standards, the Excelsior media outlet reported. MEXICO CITY/WASHINGTON (Sputnik) – The Trump administration continues its cruel policies to stem legal immigration to the United States after announcing that asylum-seekers must remain in Mexico during their proceedings, US Congressman Joaquin Castro said in a press release. Following US President Donald Trump’s televised spat with Democrat leaders at the White House over the funding for the border wall on Tuesday, the Department of Homeland Security (DHS) released an unmistakably pro-wall press release replete with grammatical errors. 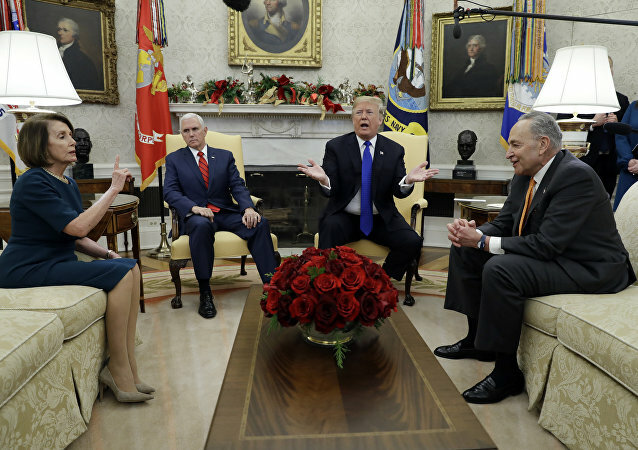 President Donald Trump has clashed with Senate Minority Leader Chuck Schumer and House Minority Leader Nancy Pelosi in an Oval Office meeting over funding for the US-Mexico border wall. 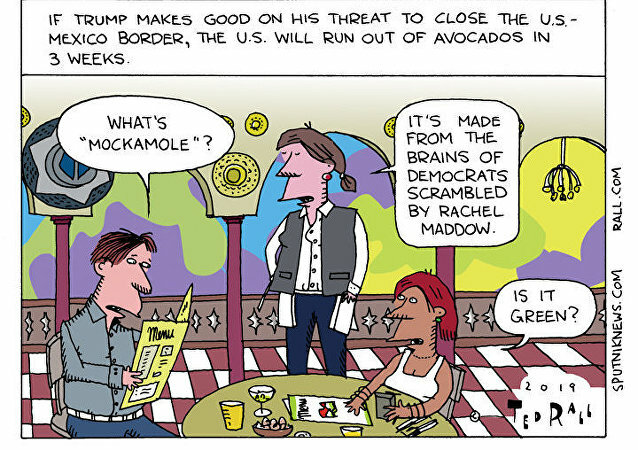 In a heated debate in front of the cameras, Trump threatened that he will shut down the government if he doesn't get the $5 billion in funding from the Democrats. One of Donald Trump's signature campaign pledges back in 2016 was to build a wall along the US border with Mexico in a bid to prevent illegal immigrants from entering the United States. This has been a pressing issue in recent weeks, particularly in light of migrant caravans from Central America attempting to cross the border into the US. 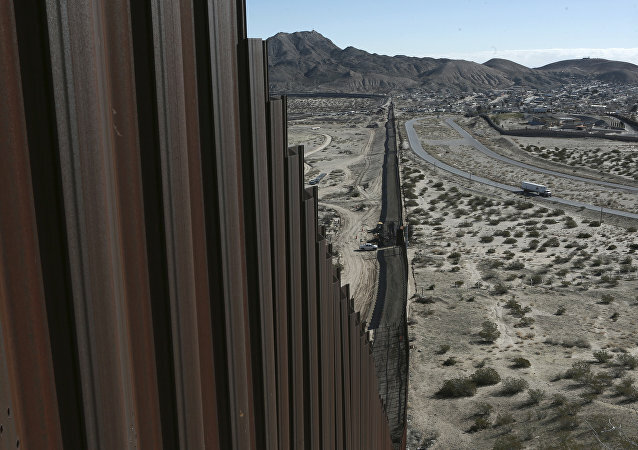 President Donald Trump has on multiple occasions called on Congress to fund the US-Mexico border wall's construction in order to stop illegal migrants from flooding into the country.